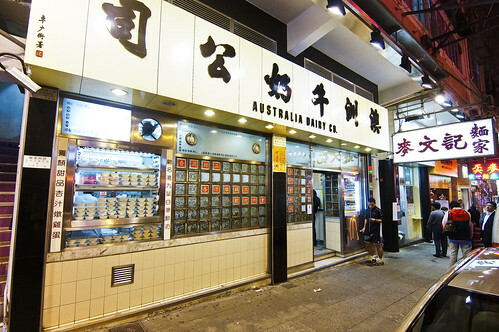 Australia Dairy Company (澳洲牛奶公司) is voted (by public) as the top eatery in Hong Kong at OpenRice Hong Kong, defeating all 5-star Hotels and 3-stars Michelin restaurants. 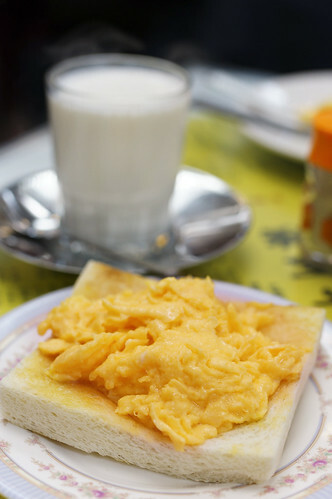 They are famous for two things, their variations of egg custard pudding and their scrambled egg. When I first visited Australia Dairy at Jordon 6 years ago, I don’t remembered there was such a monstrous queue. It was crowded, but not THAT crowded. But despite the long queue, the waiting time is only 20 minutes due to the mega quick turnover. I bet they won’t take more than 5 minutes to serve your food. 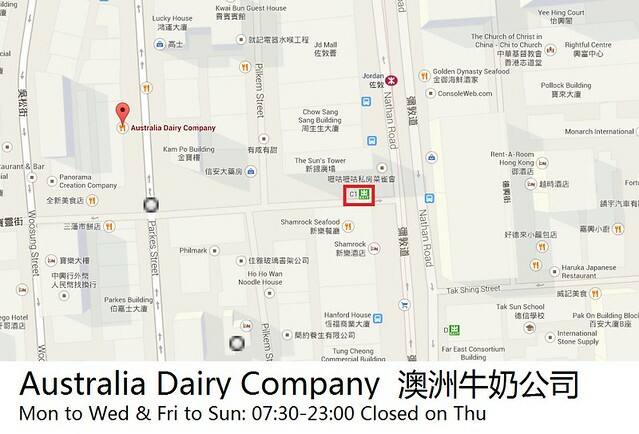 And Australia Dairy has basically nothing to do with the country Australia and it’s a 100% Hong Kong style cafe. It was said that this name came from the boss of Australia Dairy, who once worked in Australian farm in the 1940s. The queue is really long, but the waiting time is only 20 minutes. When i visit this place, i always go for their scrambled egg toast. So far it’s the best scrambled egg that I had in term of both texture and taste (despite so many brunch places that sell scrambled egg in Singapore). Remember, a trip to Australia Dairy Company without ordering their scrambled egg toast is a wasted trip. I thought what makes this scramble egg so popular, even to the extend of legendary, is for it’s non-runny but yet milky moist texture. No additional seasoning is required as it’s already bursting with flavours. 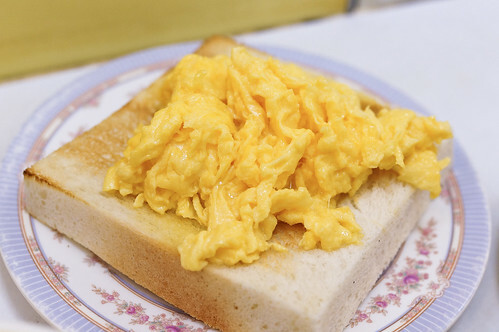 Comparing with western style scrambled egg, it is slightly saltier and richer. They had maintained a good standard for the past few years without fail. 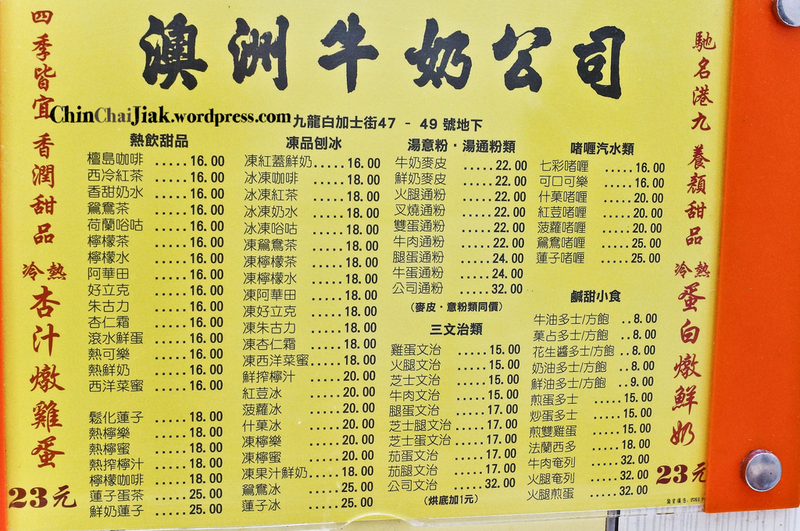 One portion of scrambled cost HK$15 (S$2.50). Be sure not to mistakenly order their sunny side up toast instead. 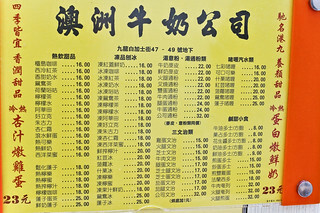 Look for 炒蛋多士 in the menu. 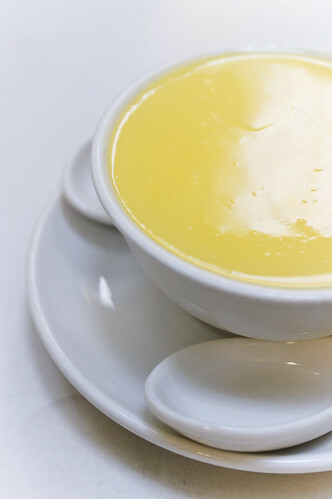 For first-timer, you may want to try their custard Amond Steamed Egg Custard. This taste very similar to the custard of egg tart with a tinge of almond but the texture is much softer. At first bite, you can taste the aromatic eggy taste, then the sweet milk, and then the almond. This dish is market as one of their signatures with their Steamed Egg White Milk Custard. 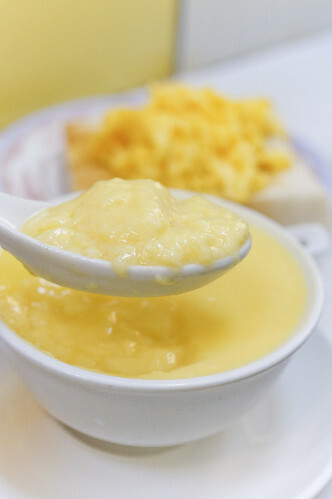 I love it’s texture, not-so-sweet taste and it’s egg fragrance edges other similar custard puddings found in Singapore. I like this dish, but not to the extent that i need to order it for every visit. It’s a worth-the-try dish. I tried their macaroni and instant noodle breakfast set before and the taste is forgettable. 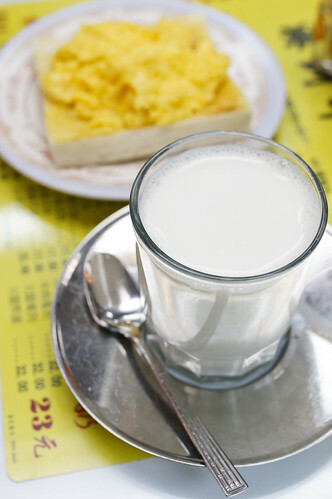 If you do not have enough stomach space, just order their scrambled egg toast, and I always accompany it with a hot glass of fresh milk. Nothing warms heart like a glass of hot fresh milk in the morning. Of the service, speed and quality triangle, i can say that Australia Dairy Company excel in both aspects of speed and quality. I simply love the quality of their scrambled egg and at a rather affordable price. 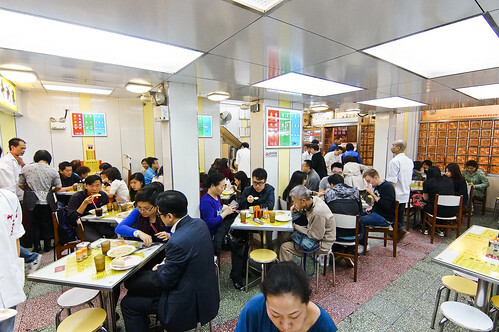 That is the reason why Australia Dairy is always on the top of my to-return list in Hong Kong and will always remain as one of my favourite cafes in Hong Kong. It’s rather easy to navigate to Australian Dairy. I forgot the Exit is C1 or C2 (One of them is not reflected on the google map). 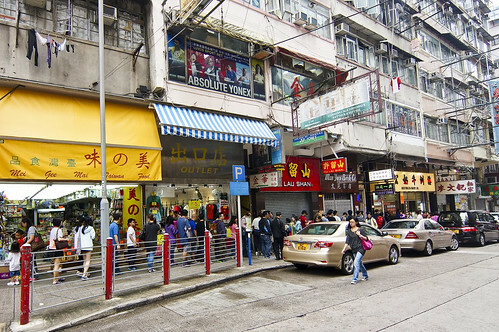 Just bear in mind that you should not see the main road (Nathan Road) when you come out from the exit. If it’s facing the main road, then go back down and come up from the other exit C.
The rest is pretty easy. After you exit, just walk straight and turn right and walk for 20 seconds and you will see Australia Dairy Company.